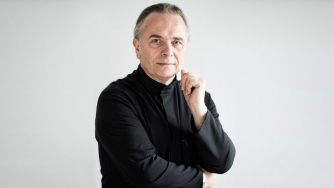 Sir Mark Elder is a consummate Wagnerian and in this concert he conducts orchestral excerpts from two of the composer’s greatest operas. The selection opens with two highly contrasting preludes from Lohengrin. The first unfolds slowly and with supreme majesty, the second is irrepressibly heroic. Then we hear an attractive suite from Wagner’s most genial creation, Die Meistersinger, a work of great humour and humanity. In the first half, Sir Mark and the Hallé are joined by Francesco Piemontesi, a pianist of rare quality, for Beethoven’s majestic ‘Emperor’ concerto, a work with one of the most sublime slow movements in all music. With Weber's enchanting Oberon overture to open, this promises to be a delightful evening.